OBD Car GPS tracker No Fees No Contract - Real-Time Tracking for your Car - Location, Speed Limit, Geofence, Mileage Statistics and much more. Free lifetime Website usage. Car Safety at its best. The device monitors and alerts you on your phone when your vehicle is moving, when the engine starts, and if unusual vibration is detected. The highest risk for teens occurs during the first 6 months that they hold their driver's license. The risk remains high until their early 20s. Studies show that teens face a double challenge behind the wheel. Avoid bad surprises, and keep control. PALMAR creates unique products that make your day more enjoyable and provide you with a greater quality of life. Our products have superior functionality, turning ordinary items into extraordinary essentials. We create unique items that give happiness, renewal, and joy. Last but not least, we treat our customers like family. 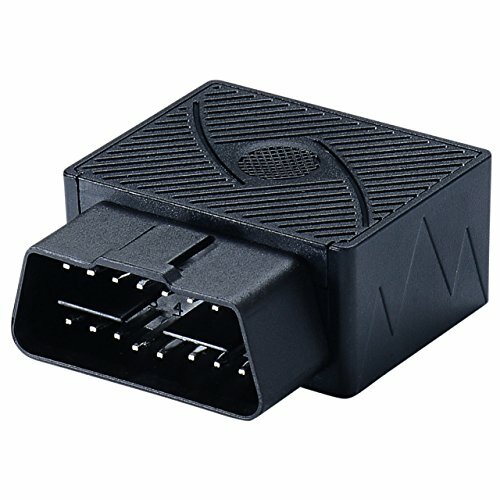 Plug it into your car's OBD II and you are in command using the free website or the Android/iOS App. All cars and light trucks built and sold in the United States after 01/01/1996 are required to be OBD II equipped. Set up a Geofence to restrict your car's movement. The device will send you an alarm notification when the car is moving out of the specified district. Easily find the location of your car if it is lost or stolen. Be notified of abnormal vibrations (e.g. crashes), and limit the car's speed if you don't trust the driver. GSM/GPRS 850/900/1800/1900, CE, and FCC certificates. If you have any questions about this product by PALMAR, contact us by completing and submitting the form below. If you are looking for a specif part number, please include it with your message.